Practice and experiment with your edge. Mastering edge control will improve your paddling. With the boat flat this gets a score of zero. Try then increasing the edge in three stages 1,2,3 and get used to holding the boat still on edge at each of the levels. Next you can try going smoothly from edge to edge e.g. edge 1 on the left to edge 2 on the right. You can do this either statically or on the move. 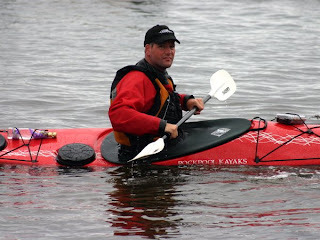 Finally try turning the kayak in a number of ways using inside or outside edge or even keeping the boat flat. Try spending about 10 -15 minutes on this exercise and revisit it each time you go on the water.